Monochrome is one of the easiest trends to wear as anything can go with black or white! Amy wears a striped shirt from Primark with a leather skirt from Saints and Sinners. Jess has kept her look simple with a vintage white top and a skater skirt from Lily Lulu. 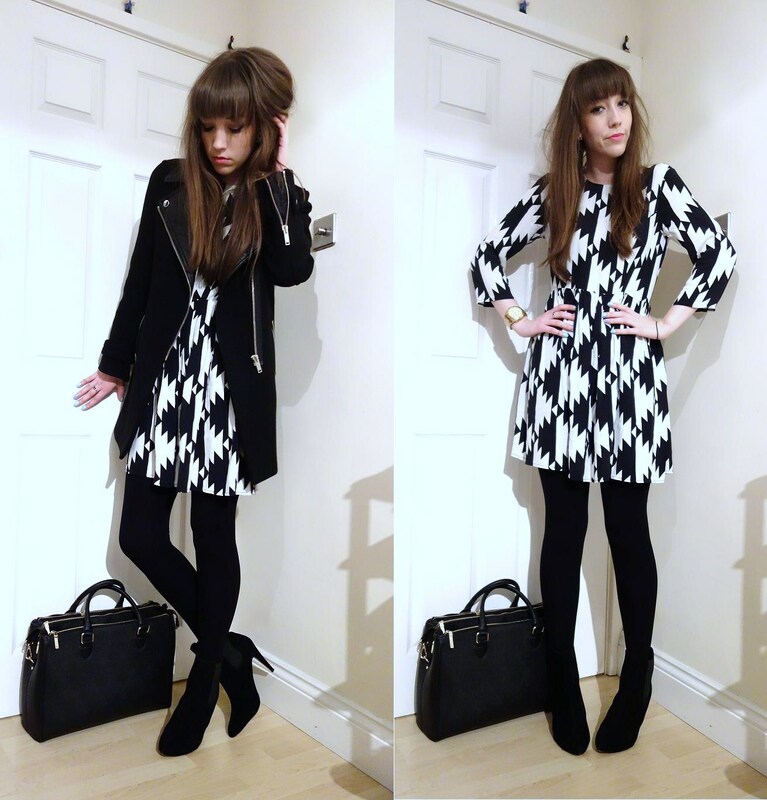 Helen has gone for head-to-toe monochrome in this bold printed dress from ASOS. 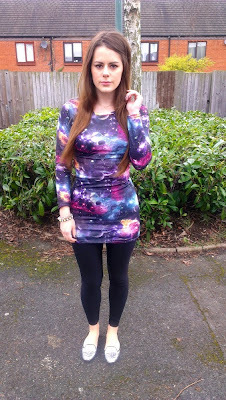 For me, bold prints are one of the more difficult trends to wear as I find them hard to pull off! The trick is to be brave and if you still can't bare to go for a wild graffiti or galaxy print, polkadots and florals are a cute, feminine alternative! 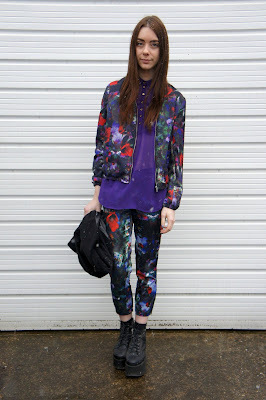 I absolutely love this colour-splash floral suit. It looks like a high-end designer brand but I was shocked to see it was from H&M - bargain! Chelsea adds more colour with a plain purple shirt underneath. 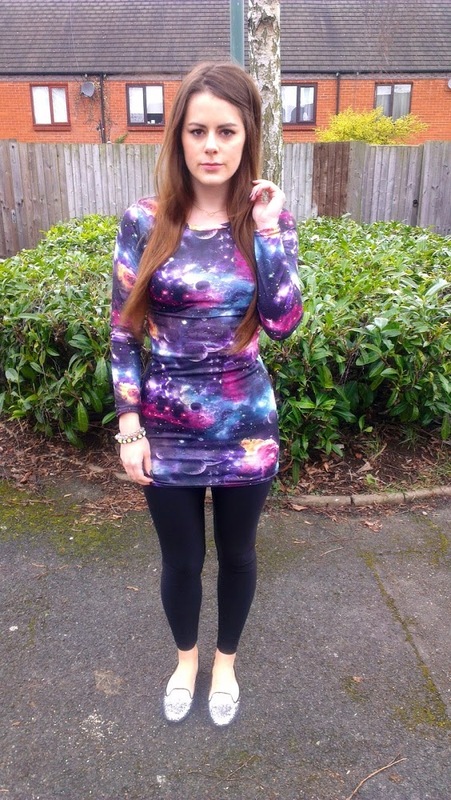 Galaxy prints came around last year and the trend is here to stay! Heidi's dress is from She Likes and she keeps her look casual with some American Apparel leggings and glittery loafers from Zara. Sheer fabrics are another great way to keep prints simple for daytime wear. This lovely shirt is from Primark and Chloe pairs it with Primark leggings and Chelsea Boots from New Look. If you're really not feeling brave enough you can liven up an outfit with accessories. 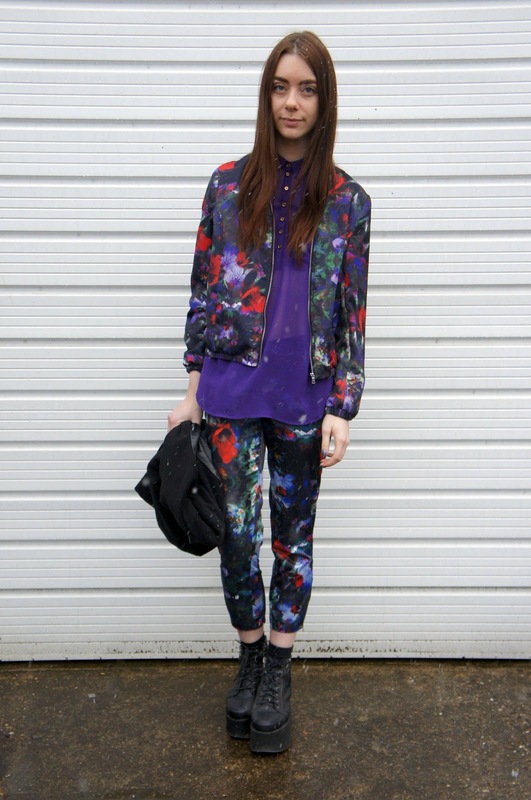 Look for bags and shoes with an interesting print and team with simple block colours to make a statement. These floral slippers are from Matalan.